The USDA uses data to define food insecurity in two ways: low food security, meaning those who report no reduced food intake, but a reduced quality of diet, and very low food security, which is confirmed reports of disrupted eating patterns or reduced diet. 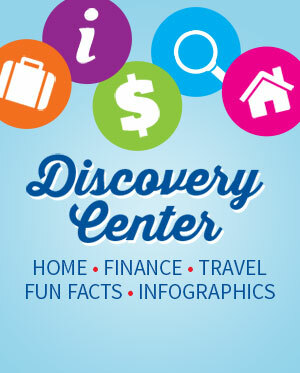 This is studied by observing a lack of financial resources for food in a household. 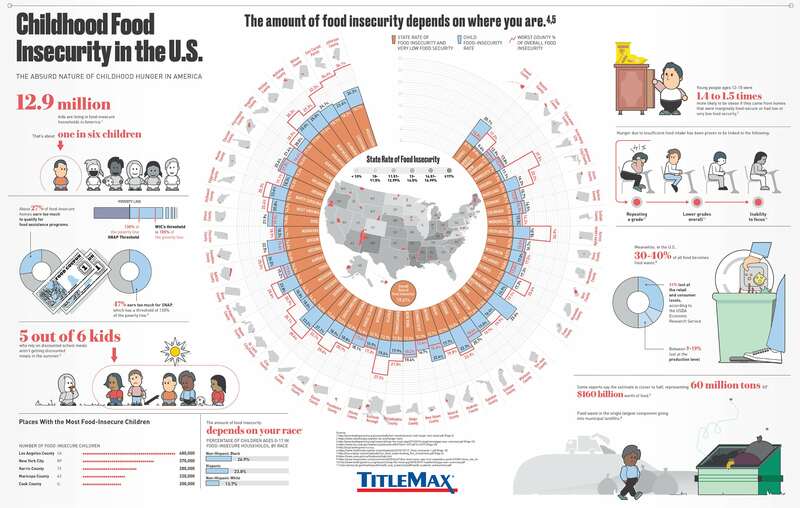 How many people are food insecure in the US? An estimated 42 million people are faced with food insecurity in the US. That’s about 1 in 8 Americans. What child hunger statistics tell us is that 12.9 million children live in food-insecure homes. That’s about 1 in 6 American kids. More than 5 million seniors over the age of 50 face hunger. Seniors are an increasingly vulnerable group, with the rate of hungry seniors over age 60 increasing 53% since 2001. About 27% of people in food insecure households make too little to be food secure, but make too much to qualify for aid that would minimize that insecurity, like SNAP and WIC. Breaking down food insecurity by state shows us that Mississippi has the most food-insecure households, at a rate of 18.7%. Food insecurity data by county shows that there are pockets of extreme food insecurity from Maine to California to New Mexico to New Jersey. New York City is the county with the highest number of people suffering from food insecurity in the United States. Los Angeles, CA, has the highest child food insecurity by county. Race factors into food insecurity, too. Black, non-Hispanic houses (9.7%) suffer from very low food security more than the national average (4.9%) as do Hispanic houses (5.8%). The percentage of children in food in-secure houses is higher for black children (26.9%) and Hispanic children (23.8%) than white children (13.7%). What is child hunger in the US really like? But to fully understand the situation experienced by America’s kids goes beyond both child hunger facts and sad faces on billboards. The facts about school lunches are that only 27% of students pay full price for their National School Lunch Program Meals. Studies show that children eating NSLP lunches eat more nutritious, less caloric food and waste less of it. Many children can also get a discounted school breakfast, but only at participating schools. What happens when they’re not at school? It’s estimated that 5 out of 6 starving kids who rely on free or discounted school lunches often don’t get free meals during the summer. Hungry children at home are more likely to have behavioral problems at school, repeat a grade or experience developmental impairments. Childhood obesity and starving children in America are seemingly paradoxically linked, with many states and areas with a high obesity rate also having a hunger problem. The unfortunate reality is that unhealthy foods tend to be cheaper. In sum, there’s a huge gap between federal programs and child hunger rates in America. What is the horrible truth about food waste in America? What are the possible solutions to food insecurity?